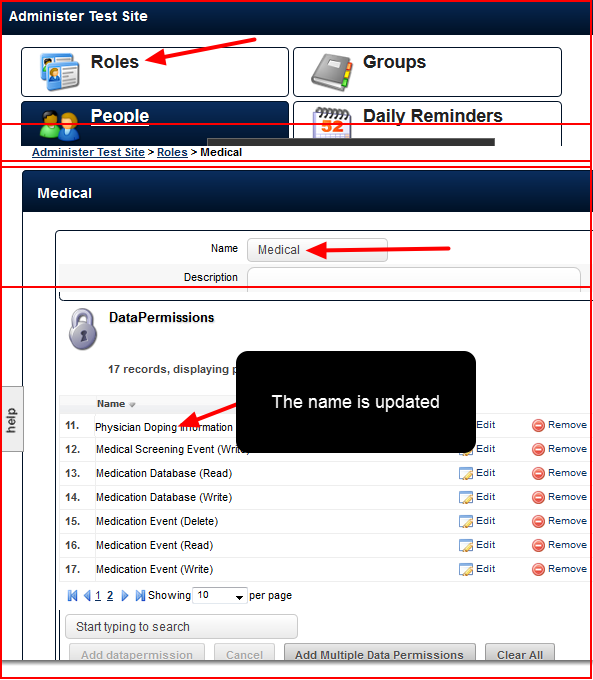 This is the name that will appear in the drop down list, and as a Category in the Data Permissions that you will be able to assign access to. 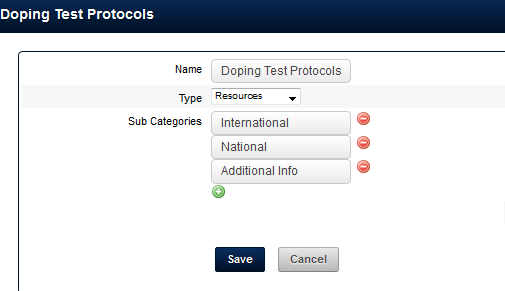 The example here shows that the Category Named "Doping Test Protocols" has been renamed to "Physician Doping Information". 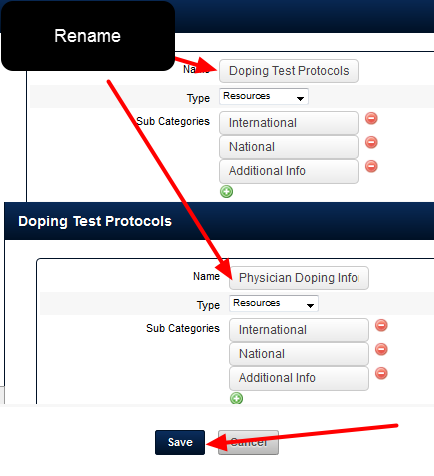 Once changed click on Save. 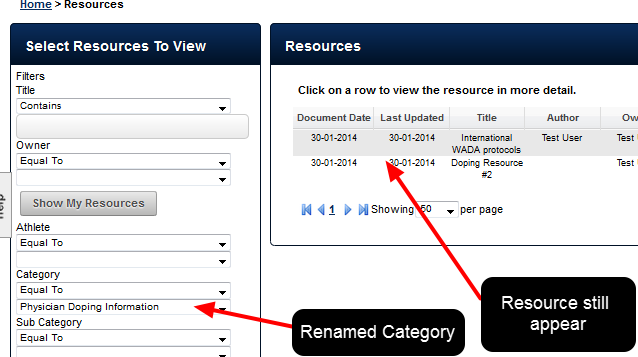 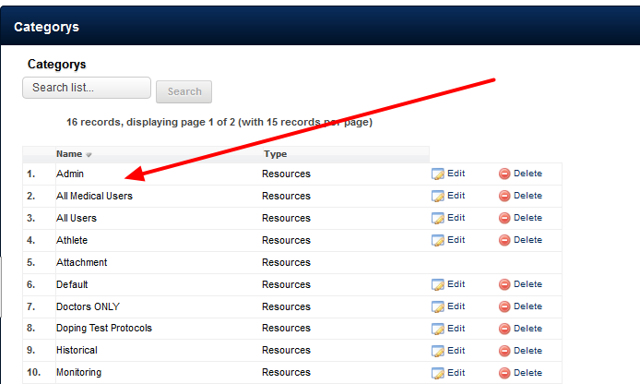 See the lesson on Adding Category permissions to find out more about this.